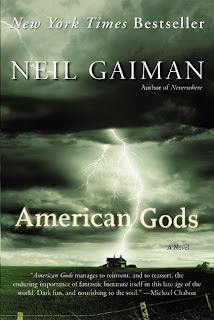 A Literary Odyssey: Thursday Treat #32: American Gods by Neil Gaiman. Not my favorite Gaiman -- it's a little sordid for my taste. However, Anansi Boys is one of my favorite books of all time. I wouldn't really call it a sequel, since Mr. Nancy, a minor character in American Gods, is hardly in the book -- but I just love Charlie Nancy and his brother Spider. Please do yourself a favor and read it soon, or better yet, listen to the outstanding audiobook narrated by British comedian Lenny Henry. It's simply brilliant. I definitely need to read something by this author! This was recommended to me by a friend, and I really have only gotten about a 1/3 of the way through it before I put it down. I think its a little weird for my taste. I meant to bring it with me on vacation to read on the plane and forgot. Oops. I'll have to give it another try. This was my very first Gaiman too! Since then I've read a dozen other books he's written and I'm a huge fan. I hope you make it to Anansi Boys eventually, it's just wonderful. It has much more cheek than American Gods and is really entertaining. I've never read any Gaiman, which is a shame because I see him recommended EVERYWHERE! I'm definitely gonna have to pick up one of his books soon! I loved this book! Anansi Boys, which tends to get more praise, wasn't as good to me; but as it's Neil Gaiman, it's still pretty dang good. He's one of my favorite authors! I hope you don't end up being disappointed in Anansi Boys. 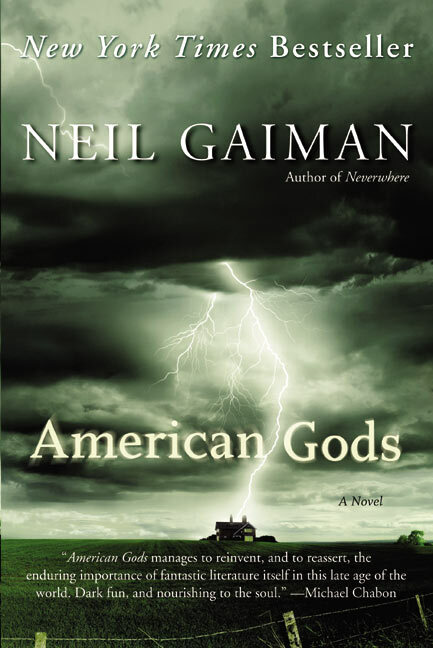 It's a very different book to American Gods - a much more light-hearted story about stories. But still delightful, as long as you don't go into it expecting it will be anything like American Gods.